We enjoyed a whirlwind trip back to St. Barth in late May to gather content for the upcoming issue of our Live Your Dream® magazine. Years ago, our team nicknamed it “The PF,” short for Portfolio, as it contains a descriptive listing of the private villas we represent. 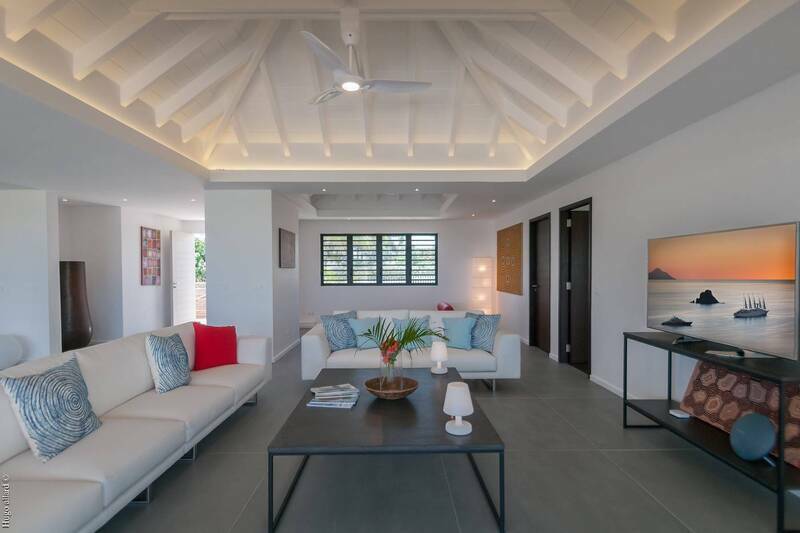 Villas remain the nucleus, but we also showcase our hotel partners and share St. Barth history and the latest island news, including our own company updates. We are excited about the growth of St. Barth Properties Sotheby’s International Realty and our new office. My favorite part of the trip was sitting down with the island residents we’ve chosen to profile in the publication. We talk about what brought them to St. Barth and why they love what they do. I’ve learned something new in every conversation. 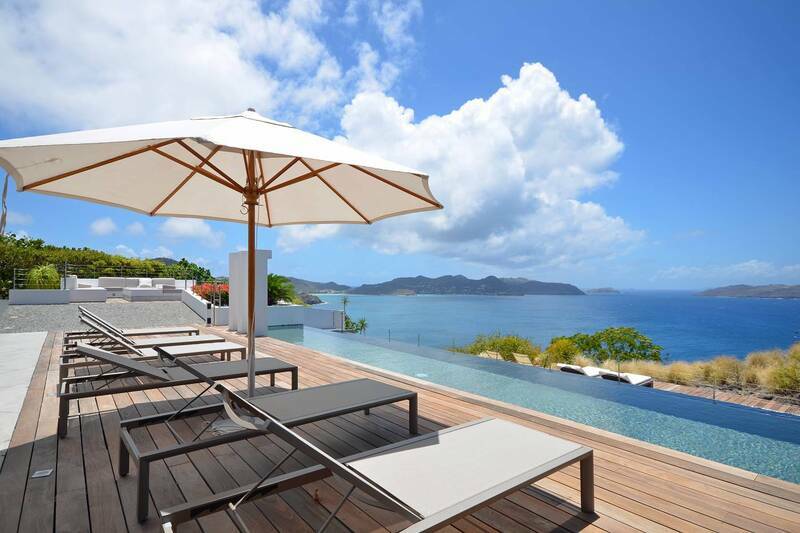 Our stay included two nights each in the new 5 star hotels Villa Marie Saint-Barth and Le Barthélemy Hotel & Spa – gorgeous! And, as always, we visited new villas. We ended our stay tip-top in Gustavia relaxing at Villa Sur Le Port, where chef Lolo prepared us a fabulous dinner. If you haven’t enjoyed this experience, put it on your list for next time, and our concierge will make all the arrangements. In the new issue of Live Your Dream® we’ll introduce you to the private chefs with whom we work that wow our clients. We think you’ll enjoy it! For a “taste” see my Just Back post in Peg’s Blog. P.S. We’ve set the date and venue for our annual launch-the-season party: December 2, 2017, at Le Barthélemy Hotel & Spa. Once again, we’ll be inviting our island partners, friends and clients who’ve booked a villa or hotel stay with us over the party’s date. Mark your calendar, and we hope you can join us! We are pleased to welcome Villa Cairn to our portfolio. Well located in the private gated community of the Domaine du Levant complex, this airy 4 bedroom villa delivers a delightful vacation experience. Within walking distance (steep) to the beach, it offers a vista of the sea and Petit Cul-de-Sac and tennis privileges. An expansive bi-level deck encompasses a lower-level extra-long heated pool flanked by chaise lounges for sunning; up a few steps, a covered section is furnished for relaxing and al fresco dining. The spacious interior opens to the deck via a wall of screened glass sliders, and there’s a chic black-and-white kitchen. Two equal bedrooms are in the main house on either side of the living area; the third is accessed from the main deck. The fourth bedroom is housed in a separate pavilion just steps from the pool. All have French king beds, ample closet space, Apple and U.S. satellite TV, and well-appointed en suite baths with rain shower heads and double vanities. The minimalist décor throughout is complemented by contemporary Aboriginal artworks. 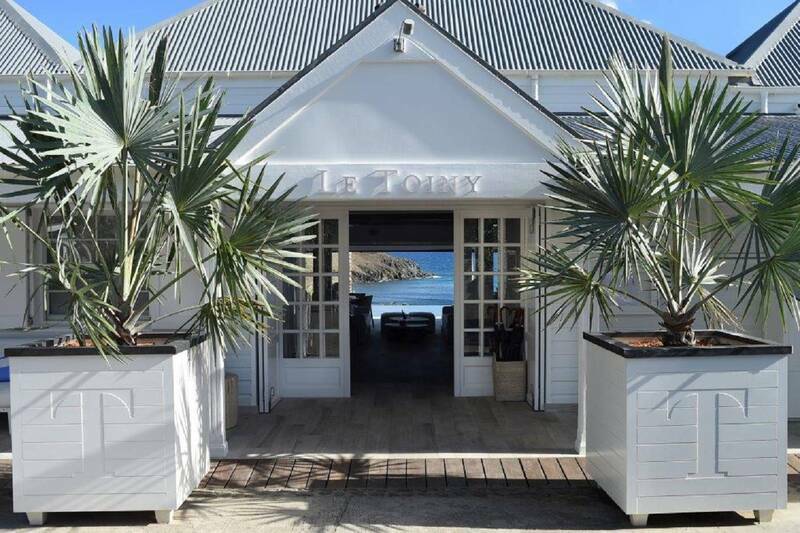 Hotel Le Toiny is celebrating summer with a special offer: relax on your shaded private terrace and enjoy stunning views of the ocean and the sounds of the waves crashing on Toiny Beach. Oh, and your terrace has its own private pool. This Island Breeze Package: stay 4 nights and pay for just 3; or, better yet, stay 8 nights and pay for just 6. We bid adieu to our island concierge Magda Borne. Magda has garnered rave reviews from our clients over the past seven years, and now she is off to explore new opportunities. We wish her well! Aurélie Janvier who joined the team several months ago, has already assumed the role of island concierge and will partner with Julia Hurd, our U.S.-based concierge. They’re ready to receive your requests. Don’t miss concierge Julia Hurd’s new trip report. You can find it on Peg’s Blog. Poised in the heights of Pointe Milou, this contemporary 3 bedroom villa offers a stunning vista of the sea and the island’s west coast. The sunsets here are among the Caribbean’s finest. Architecturally, Villa Pyramide’s minimalist design leverages its location: windows frame the views and skylights capture the sunny days. An airy open floor plan encompasses a living room, a dining area and a sleek kitchen that opens to an expansive deck. Owners will find it ideal for outdoor living and entertaining. The split-level swimming pool is a gorgeous focal point. The three spacious en suite bedrooms feature walk-in showers and private terraces with Jacuzzis. A cozy bonus room would make a nice den for feet-up TV watching. We had a wonderful time in St. Barth, as always! Rocamadour was wonderful. We have not faced that way before, nor have we been as elevated. We loved the Dine, Drive & Relax package. Our favorite evening was having Chef Paul cook our anniversary dinner in the villa. Thanks again for the great service from the staff in the states and St. Barth!